1634590457 -There is no nation in which the teachers of law play a more prominent role than in the United States. In this unique volume Stephen Presser, a law professor for four decades, explains how his colleagues have both furthered and frustrated the American ideals that ours is a government of laws not men, and that our legal system ought to promote justice for all. 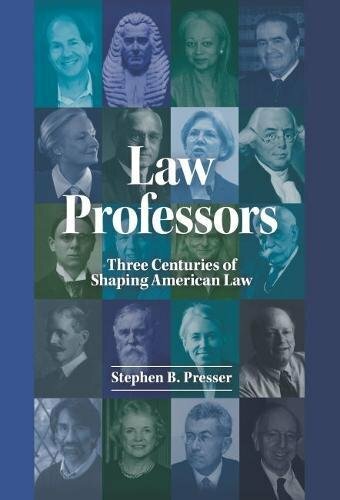 In a dazzling review of three centuries of teaching about American law, from Blackstone to Barack Obama, Presser shows how these extraordinary men and women shaped not only our law, but also our politics and culture.